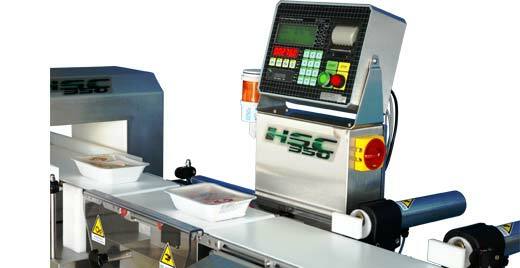 An advanced end-of-line control system can be achieved by combining a mono- or multiple frequency Metal detector with an HSC350 checkweigher. 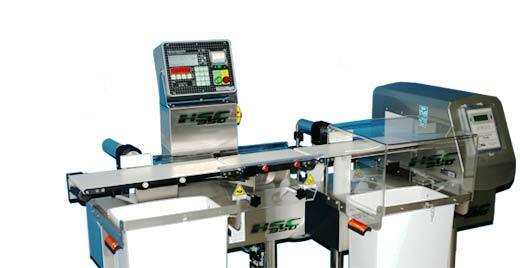 The assembly can be completed with one or several devices for ejecting polluted and non-conforming products, which are then collected in special containers with key-locks, as required by law. Configuration with two reject bins: according to law, the metal-detector's reject bin is locked with key.